APD Interim Police Chief Brian Manley said in a Wednesday evening press conference that police located a 25-minute phone recording containing what he classified as a "confession to the construction of the explosive devices" from Conditt. The 23-year-old man accused of setting off a string of explosives in the Austin-area is dead after detonating a bomb and killing himself as the SWAT team closed in to take him into custody, authorities have confirmed. Authorities have identified the suspect as Mark Conditt, 23, of Pflugerville, Texas. APD Interim Police Chief Brian Manley said in a Wednesday evening press conference that police located a 25-minute phone recording containing what he classified as a "confession to the construction of the explosive devices" from Conditt. On the recording, Conditt described six bombs he claimed to have constructed and identified differences between each device, according to Manley. Manley said Conditt also described a seventh device, which the suspect had with him when he died. "I want to let the community know that he described seven devices and that we know those seven devices are no longer in play," Manley said. "We have accounted for those devices." Manley also said Conditt did not mention anything about terrorism or hate in the recording. "It is the outcry of a very challenged young man talking about challenges in his personal life that led him to this point," Manley said. The Austin Police Department said Wednesday the suspect's two roommates have been detained. One roommate was detained, questioned and released March 21. The second roommate that was questioned was released the following day, March 22. Their names have not been released because they are not under arrest at this time. Late Wednesday morning, police were working to evacuate homes and businesses within a five-block radius of Conditt's home. Officials announced they would be shrinking that perimeter a few blocks from the railroad, Walnut and Second Street areas. Police said all people affected are asked to go to the Pflugerville Library or Recreation Center until 9 p.m. Updates on the Pflugerville evacuations will be posted on pflugervilletx.gov, officials said. In a press conference from Pflugerville police, ATF and FBI officials said the home of the suspect had been cleared. Officials said no "completed" devices were found, but materials similar to the previous explosions were found primarily in one room. Officials also reported they were able to "reconstruct" some of the suspect's previous devices. "Last Tuesday, about 3, 4 o'clock in the morning, and she was asleep, and something just so loud made her pop up," said Valentine. They initially thought it was a transformer explosion or someone at a local bar down the road. "The more we thought about it, we don't really hear anything around here, this neighborhood's really really quiet," said Valentine. "And then come to find out, the guy lives right there." He said neighbors have posted on social media that they heard similar noises over the past few weeks. "She said it was like the equivalent of someone standing in the backyard with a shotgun going off, was how loud that was," Valentine described. Austin Police Chief Brian Manley said Conditt became a person of interest in their investigation within the past day and a half. 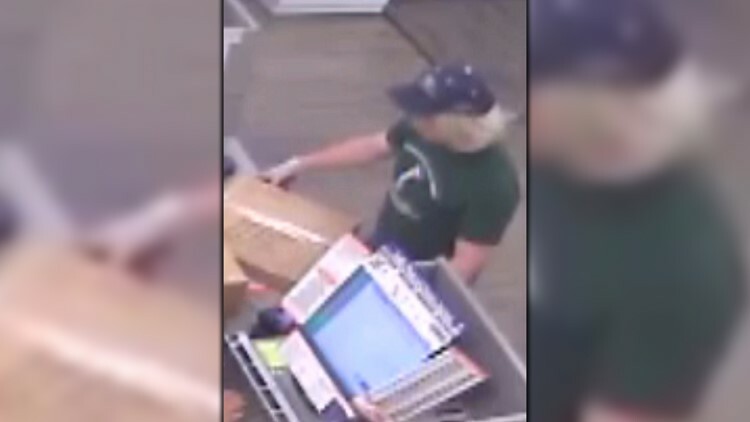 Authorities used surveillance video from the FedEx store on Brodie Lane in South Austin to lead them to him, KVUE's Tony Plohetski confirmed. They also used information from Google and from Conditt's computer history to confirm he was looking at information on where to go to ship devices, according to Plohetski's sources. Investigators also believe that Conditt planned on doing more damage in the area. 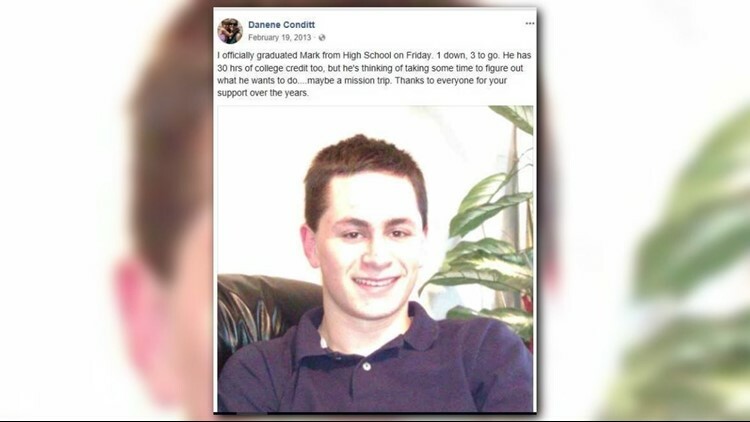 His Google search records revealed that he was researching addresses in Cedar Park and Austin, according to sources close to the investigation. Surveillance photo povided by law enforcement believed to depict Mark Conditt dropping off package at FedEx on Brodie Lane. WFAA's Jason Whitely reported that law enforcement identified Conditt at approximately 9 p.m. Tuesday and were closing in on him based on packages he sent from FedEx. Whitely added that police wanted to surprise the man. Authorities located the vehicle Conditt was known to be driving and found it at a hotel in Round Rock, Chief Manley said. Officers from the APD and federal agencies took up positions around the hotel as they awaited the arrival of tactical teams. Before those personnel arrived, the suspect vehicle started to drive away and authorities followed. Chief Manley said Conditt's vehicle eventually stopped in a ditch on the side of the road. As members of the APD SWAT team approached the vehicle, Conditt detonated a bomb, the police chief said. The explosion knocked officers back, causing minor injuries. Another officer, who Manley said has been with the department for 11 years, then shot at the vehicle. Conditt was confirmed dead and suffered "significant injuries" from the bomb set off inside the vehicle, Manley explained during a Wednesday morning press conference. It is not yet know if the explosion or a gunshot wound killed the suspect. "If we had not found this man, I think we all believe that there would have been more devices and more people would have been injured or killed," Christopher Combs, FBI Special Agent in charge, said in a Wednesday evening press conference. Investigators do not have a motive yet and aren't sure if Conditt was planning on delivering another bomb at the time of his death. Chief Manley said at the press conference shortly after Conditt's death that "it's been a long almost three weeks," and this is the culmination of the hard work of multiple agencies. 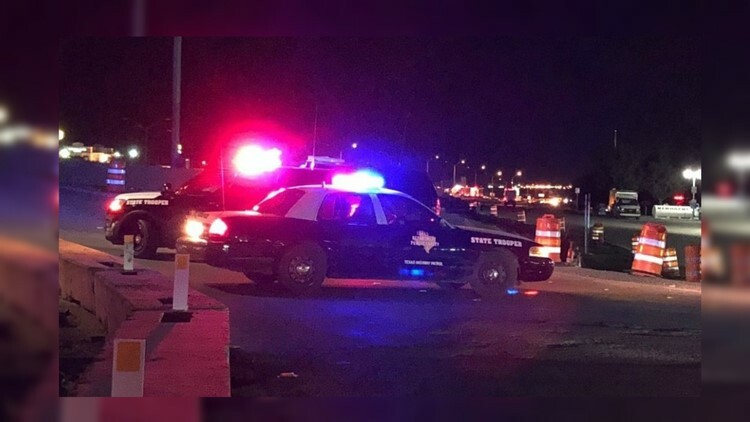 Round Rock police said all lanes of southbound Interstate 35 from FM 3406 and Old Settlers Road to U.S. 79 and Sam Bass Road would be closed Wednesday morning while police investigate. Round Rock ISD said classes would run as scheduled but added that they would accept late arrivals due to traffic. An investigator on the scene told ABC News "the hunt for the bomber was a race against time as law enforcement feared additional devices would continue to be exploded." "In the law enforcement mantra of 'stop the killing,' investigators paid less attention to why or how the suspected bomber was doing his work and instead put all of their efforts and resources into finding him and 'neutralizing the threat,'" the investigator said.